If there's one thing my Shiba Inu does on demand, it's shed. And with the nice weather I like to open more doors and windows in my house, and this area can be very dry and dusty. It all adds up to little clouds of hair and dust crisscrossing my floor with every breeze. I had an obsession a few years back with Roomba and Scooba, but I find their upkeep too demanding. Sure you don't have to vaccuum yourself, but who cares if you need to spend 45 minutes each week cleaning one or the other machine. And Hunter disliked her robotic friends. 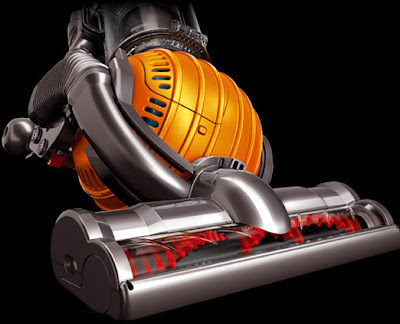 So I'm trying out the Dyson Ball DC24. Unboxed earlier today, the DC24 assembles quickly and intuitively, and has some useful attachments that seem like I'll actually use. I didn't realize that inside the ball is a filtration system, so the whole thing is a pretty ingenous design. On first use I'm pleased with it, I'll report in with updates as I put it to use.